Started in 2016, the Casino is a new entrant in the dynamic online Casino gaming world. 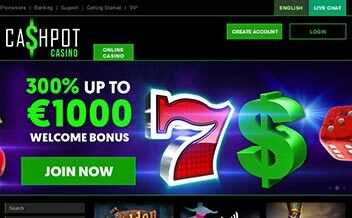 Cashpot Casino is owned by Game Tech Group N.V Casinos and is licensed and regulated by the by the government of Curacao. Cashpot Casino features a massive library of thrilling online game slots and games from different software providers, is available on instant and mobile gaming, solid customer support, and a live dealer section. 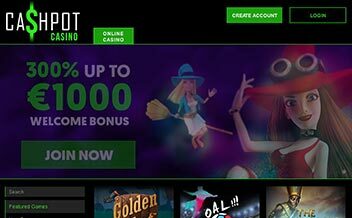 Indifferent to other Casinos, Cashpot Casino has a hefty welcome bonus and in-play promotions that are directed towards ushering in new players and keeping them enticed. 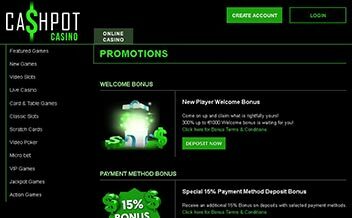 The welcome bonus features 300% match up to €333 with a wagering requirement of 33 times. The Casino also has a number of promotions that existing players can enjoy. Players can also join the VIP Club which guarantees players major perks like cash backs, deposit bonuses, and other promotions. The Casino offers some of the best progressive jackpots in the market. Some of the popular titles include Major Millions and Major Moolah. The Casino has a wide range of thrilling online slots from some of the best developers in the online Casino world. Some of the popular titles include The Tipsy Tourist, Medusa, and Wild Toro. The Casino has a vast collection of slot games that are developed with the client’s needs in mind. Table game fans are not left behind either. The table games available are tailored to meet the diverse needs of the vast online gaming market. Some of the popular games available include Blackjack variants, Roulette variants, and Baccarat variants. Through software developers such as NextGen Gaming, BetSoft, 1*2 Gaming, Thunderkick, and others, the Casino offers players with amazing video poker games. These games include Deuces Wild, Jacks or Better, Aces and Eights. The Casino has a wide variety of live Casino games that are hosted by croupiers in real time. Some of the games available in this section include Live Baccarat, Live Blackjack, Live Roulette, and various others. The Casino is powered by some of the renowned software developers around the world. The collaboration between these developing powerhouses has given rise to a dynamic and functional software. Some of the developers include NextGen Gaming, Betsoft, 1*2 Gaming, Elk studios, Thunderkick, Extreme Live Gaming. The United Kingdom, the United States, Italy, Israel, Turkey, Singapore, and several others. EcoPayz, Maestro, Visa, Master Card, Visa Electron, Paysafe Card, Entropay, PostePay, AstroPay Card, Ticket Surf, WebMoney, QIWI, GiroPay, among others. Cashpot Casino is available on both instant play and mobile devices. The Casino features an entirely instant play user-friendly interface that combines excellence and functionality. The Casino’s mobile version can be accessed using either IOS or Android devices. 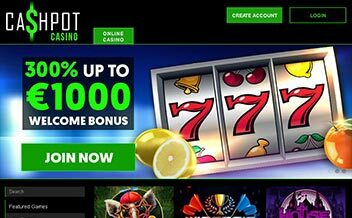 Cashpot Casino is a dynamic online platform that offers players with a wide range of online slots and games from different software developers. The Casino also has a robust customer support via live chat and is proven fair.